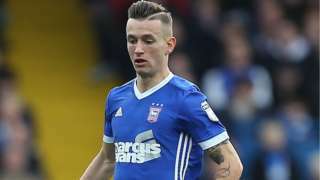 Ipswich Town substitute Bersant Celina's stunning late free-kick steals victory for Mick McCarthy's men at Burton. An independent review of the police inquiry supports continuing the site search for Corrie Mckeague. Ipswich Witches rider Cameron Heeps believes there are plenty positives to take out of this season, despite it ultimately ending in disappointment. Last night's 45-45 draw with Peterborough Panthers at Foxhall meant the Witches lost the Championship Knockout Cup Final 92-88 on aggregate. "We can hold our heads up high because all year we've put 110% in and there was never a lack of effort," he told BBC Suffolk Sport. "It just wasn't to be I guess, with injury after injury. We can go away and know that we put everything we could into it." Yet another injury cost Ipswich Witches dear last night as they lost the Championship Knockout Cup Final. At the end of a season which has seen so many riders miss meetings, this time it was Ipswich captain Danny King who crashed out in heat six, breaking a wrist. Although the match ended 45-45 against Peterborough, the Panthers take the trophy after their 47-43 victory in the first leg. "Gutted, I've never wanted anything so badly in my life," said Cameron Heeps, who top scored for the Witches with paid-14. "I've enjoyed this year so much and it's been such a pleasure riding with these lads. "Us riders wanted something to take to the dinner dance for these fans who've been behind us all year. We did the best we could, but it just wasn't enough." An appeal is under way to raise money for a dedicated breast care centre at Ipswich Hospital. If the Blossom Appeal raises the £2.5m it needs, a centre housing everything under one roof will be created. The centre is the brainchild of consultant surgeon Caroline Mortimer (pictured), who's been at Ipswich Hospital for nearly 17 years. "Patients currently have to visit three separate locations for breast care at the hospital," she explained. "Our appeal is fundamentally about creating enough space to be able to run clinics for dedicated groups of patients." The centre would also provide dedicated clinics for men and young people. Head of charity and fundraising at Ipswich Hospital, Mandy Jordan, said: "We can't do this without the support of the local community. "We need everyone to get involved and support the breast team." Ipswich Town are likely to be without midfielder Tom Adeyemi for Saturday's game at Burton Albion. The Blues will be looking for their first win in four games. Nigel Clough’s Burton team are third from bottom in the Championship. Adeyemi is only new injury worry for Town manager Mick McCarthy, who admits he’ll be missed. "We knew before the Norwich game that he'd been off for three weeks, came back, had three weeks training, was very good, but he's felt his hamstring again which is really sad because he did very well," he said. "He does make a difference and the lads think he makes a difference, so we'll have to wait and see." It’s been a frustrating season for the 26-year-old. He's only played five times for the Blues, and Sunday’s game against Norwich was the first time he’d taken to the pitch since September’s 5-2 win over Sunderland at Portman Road. Police are appealing for witnesses to a collision between a car and a motorcyclist. It happened shortly before midday, in Summer Road, Hepworth. The male motorcyclist sustained injuries and has been taken to Addenbrooke's Hospital. Summer Road and Clay Lane were closed at the junctino of the A143 following the collision, but have now reopened. A Halesworth man has pleaded not guilty to causing death by dangerous driving. 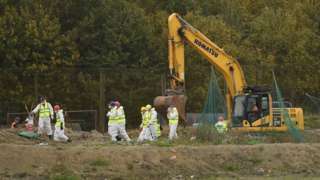 Andrew Saunders, 50, of Swan Close, appeared at Ipswich Crown Court in connection with the death of Shane Lay, 42, from Loddon Street, Broome. Mr Saunders was walking his dog in Bridge Street, Bungay in the early hours of Friday, 12 May, 2016 when he was hit by a car which failed to stop. He died in Addenbrooke's Hospital in Cambridge the following day. The trial has been set for 21 May 2018.